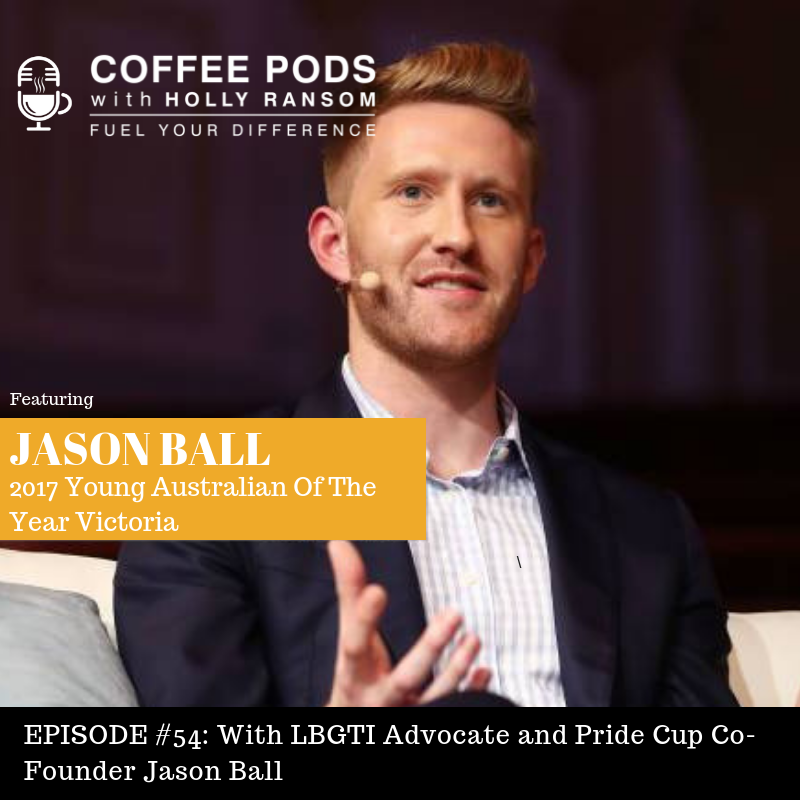 Jason Ball, the 2017 Young Australian of the year for Victoria. Jason's an LGBTI and mental health advocate and is the current candidate for the State of Higgins in the federal election. In 2012 Jason came out as being gay. But coming and doing so only the second male Aussie Royals football player at any level to publicly come out in the national media. What snowballed from there was a movement that Jason has been in pursuit of ever since. A desire to want to transform both grass root sporting organizations in Australia and national sporting bodies into more inclusive environments for LGBTI Australians. Commodating in an organization Jason now runs called Pride Cup. In this conversation we're gonna talk about the importance of creating inclusive and welcoming environments. The power of people's reactions when they hear information when people share their stories. And the significance of personal stories in changing hearts, minds and attitudes. If you're anything like me, they'll be multiple parts of this conversation that leave you reflecting for some time after you listen to it. I hope you really enjoy it.